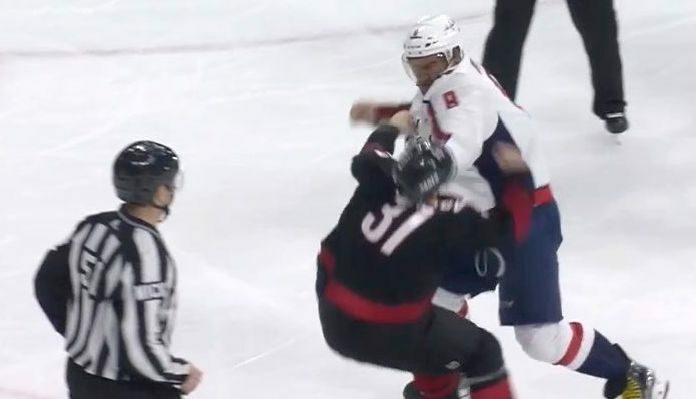 During tonight’s game three matchup with the Carolina Hurricanes, Washington captain Alexander Ovechkin decided to drop the gloves with Andrei Svechnikov. The result was a devastating knockout for the NHL’s reigning and defending Rocket Richard trophy winner. Ovechkin’s Washington Capitals currently lead their first round playoff series with the Carolina Hurricanes 2-0. Game three is going down right now. What did you think of Ovechkin’s crushing knockout of Andrei Svechnikov? Sound off in the comments section Penn Nation!